Don’t Drill The Hills, Inc. (DDHI) has engaged with Rochester Hills City officials since December of 2013 – nine long, painful months. We have sent representatives to every City Council meeting and spoke out vigorously during public comment. We represent you. We have engaged with the Michigan Department of Environmental Quality (DEQ) as well as numerous State politicians. Senator McMillin proposed protective legislation to force oil companies to include a DEQ phone number on their leasing materials, so citizens can call and be better informed. This proposal died before it got to the floor. We continue to press other politicians for their help and policy support. We have coordinated DDHI activities with similar groups from Auburn Hills, Fowlerville, Scio and Shelby Township. We were the first source of help for Shelby residents when they unexpectedly woke up one morning to the reality of a drilling operation in their own back yard. We have worked with numerous Rochester Hills Homeowners’ Associations to build a safer Michigan for our families. We’ve put flyers on more mailboxes than we care to remember. We provided support for our cause at a drilling information meeting with Oakland County Water Commissioner Jim Nash at the Rochester High School March 11, 2014. We pressed City Officials to host an Open House at Rochester College in May 5, 2014. It was a terrible, poorly structured, one-sided meeting choreographed by the Mayor and City Council. DDHI was excluded from the planning process. We have pushed the City to prepare protective drilling and pipeline ordinances as well as safe set- back requirements. They dragged their feet until April. When we initiated a legal challenge in May, they refused to work on the ordinances. As of August 26th they say they will start again. We’ll see. We have filed suit against the City to protect our parks and our right to vote on how those parks are used. The City violated its own Charter twice in this regard. We have taken pains to present honest, balanced, accurate information. We are a non-partisan group who is not opposed to domestic energy production; except when located in high-density residential neighborhoods and near school zones. We have gotten the media attention to turn our local issue into big news. The Detroit Free Press, The Detroit News, Metro Times, Oakland Press, Rochester Post, Rochester Patch and MLive have written numerous articles on the drilling in Rochester Hills. Television coverage on WDIV – Channel 4; WXYZ – Channel 7; FOX-2 Detroit have all carried our story. 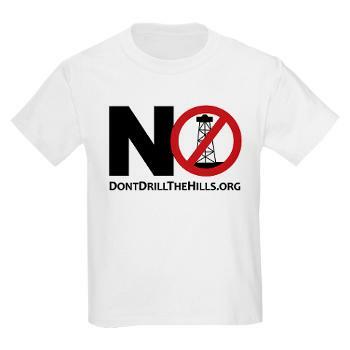 We have pressed for and finally attained a drilling moratorium for Rochester Hills on August 26th. If you knew how hard it was to get our Council and Mayor to do anything on your behalf, you would be really impressed! Five things you can do for DDHI. Become informed. Get involved. Explore our website and learn what is going on. Like us on Facebook, re-tweet us on Twitter, call us at 856-624-3344 and sign up for to receive newsletter updates. Join our membership and/or become a participating member of the lawsuit. Donate to DDHI. Our daily operations plus our ongoing legal battle depends on your financial support. Shelby Township Homes lost $30,000 worth of value, in a single week after drilling began – thousands more than you could ever hope to receive from oil royalties. Your $10, $20 or $100 Donation now can make sure that doesn’t happen in your neighborhood. Show up at City Council meetings and support us – the City also welcomes Public Comment should you want to speak your mind. Write your State and local representatives and make your feelings known.